Behind the French Menu: Cigale de Mer – The Slipper Lobster. The Slipper Lobster on French Menus. The Cigale de Mer, Macietta or Chambri. In the area of Marseilles the slipper lobsters are called chambri and there their tails will end up in a true Marseilles Bouillabaisse; in the area of Nice the small slipper lobsters are called macietta, and there their tails will probably be in a soup or served in a manner similar to one of the dishes noted below. 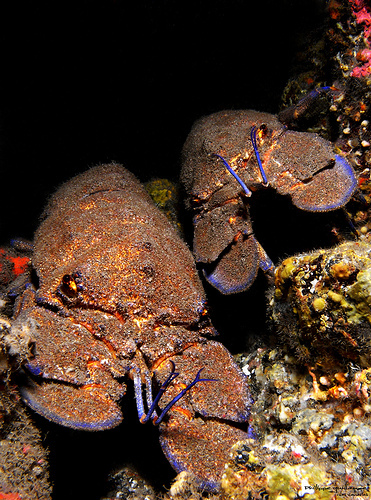 Slipper lobsters are a whole family of short-clawed lobsters with a very distant relationship to the two-clawed lobster. The small cigale de mer that are on many menus in the South of France are all caught in the Mediterranean. Most are about 20cm (8”) in length or less and all the meat is in the tail, the “queue.” The tail is the last third of the overall length, that’s about 7cm (3”). If a single small tail is served as the plat principal, the main course, you may be hungry. Ask the waiter how the dish is served. Cigale in your French-English travel dictionary. Your French-English dictionary will translate cigale as a cicada, grasshopper or locust. However, worry not; the cigale de mer is nothing like a cicada, grasshopper or locust neither in its looks nor in its feeding habits. French culinary tradition is full of names given to dishes and or their ingredients that have no connection at all to the real looks or the formal name. 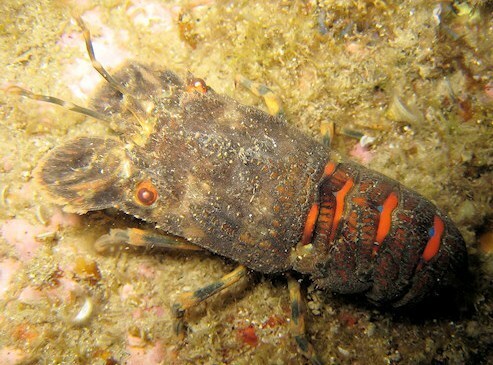 Slipper lobsters are fairly close to the rock lobster and spiny lobster family called the langouste in French. The rock and spiny lobsters are the owners of the tasty lobster tail. The two-clawed lobster, homard in French, is a far more distant family member. 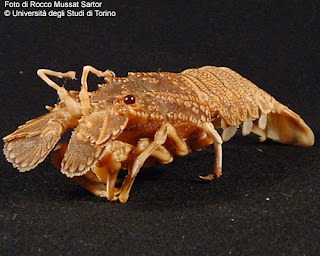 Cigale de Mer – The small slipper lobster. The slipper lobster tail and the rock lobster tail. Slipper lobster tails are often prepared with recipes created for rock lobster tails. The meat of the Mediterranean slipper lobster’s tail is tasty, but they are smaller than rock lobster tails, often much smaller. They are also a little tougher than most rock lobster’s tails. The Marseilles Bouillabaisse and the slipper lobster. The most famous dish that includes the slipper lobster is the Marseilles Bouillabaisse. This very special saffron and garlic fish stew dish is based on the rascasse, the scorpion fish, and other fish cooked in a special fish stock and served along with a spicy, garlicky, thick, rouille sauce added by the diner to his or her taste. 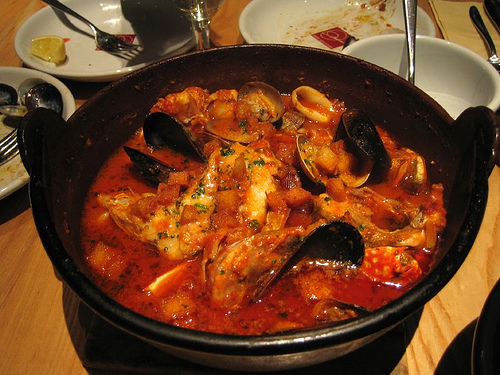 To preserve this traditional dish and expose many inaccurate additions a group of chefs and restaurateurs set out the Charter of the Bouillabaisse Marseillaise. In the Charter, the only authorized crustacean is the cigale de mer, the small slipper lobster. Nevertheless, despite the charter, many restaurants that prepare Bouillabaisse today still add to the dish other crustaceans, fish, and seafood that were never part of the original recipe. Despite these restaurant's disrespect for tradition, you will not suffer if the additions are well prepared. Cigales de Mer aux Pâtes Fraiches – The meat from a slipper lobster tail served with fresh pasta. Queues de Cigale de Mer Grillées – Grilled slipper lobster tails. Queue de Cigale de Mer Rôtie au Beurre de Persil dans une Marinière de Coquillages aux Légumes - A slipper lobster tail roasted in parsley butter and served with mussels and vegetables prepared in the manner of a mariner. In French culinary tradition, a dish prepared for a mariner will usually come with a white wine sauce. Other shellfish may also be included in this menu listing. Ask. Queues de Cigales de Mer Grillées, Sauce Tamarin et Lime - Grilled slipper lobster tails served with a sauce made from the tamarind, the fruit, and lime juice. 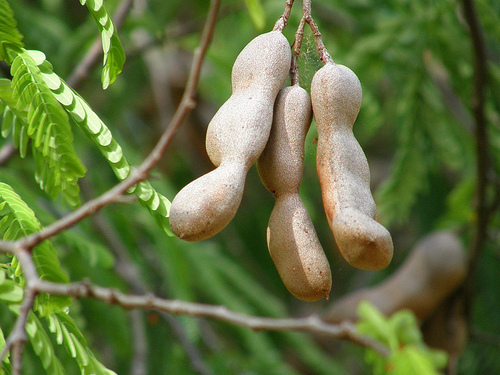 (The tamarind fruit seen on French menus comes mostly from France’s Indian Ocean region of La Réunion). From the outside the tamarind is rather unattractive, to say the least. Nevertheless, inside, apart from the seeds the pulp is appreciated as a fruit juice and is also dried and used in tisanes, fruit teas, while for the commercial food industry the tamarind is a very important. The tamarind is used in the food industry for flavor with many other food products and is one of the ingredients of Worcestershire Sauce. Queue de Cigale Rôtie, Risotto Safran et Croustillant de Kadaïf - Roasted slipper lobster tail, served with a saffron risotto and crispy Kadaïf. Kadaïf is a pasta like vermicelli, those very thin pasta strands also called angels’ hair, made from wheat flour, corn starch, salt, and water. It is also called knafeh, konofa, and kadaïfia among many similar names. Kadaïf is seen all over North Africa and the Middle East as well as in Turkey and Greece and Albania. Many different kadaïf pastries, both savory and sweet, are traditional. The sweet pastries come with added sugar syrup and honey. Queues de Cigales de Mer Sautées aux Cornes d’Abondance et Cresson - Slipper lobster tails lightly fried with wild black trumpet mushrooms and watercress. There are over ninety members of the slipper lobster found in warm waters all around the world. One of the largest, the Grande Cigale de Mer is also found in the Mediterranean and it may reach two kilos, but if caught it must be returned to the sea as the Grande Cigale de Mer is an endangered species. This large size slipper lobster has been over-fished and has been protected since 1999. Two Grand Cigales de Mer, the large slipper lobsters. Small slipper lobsters are mostly caught by accident when trawling the sea bottom for sole and flounder. The fishermen and women who set out their pots to catch the spiny lobster are pleased that only rarely does the relatively inexpensive slipper lobster find its way into their spiny lobster pots. (Catalan - escil·làrids), (Dutch - scyllaridae), (German –bärenkrebs), (Italian – cicala di mar or magnosella), (Spanish – esciláridos, santiaguiños). 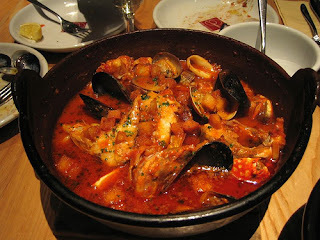 Bouillabaisse and Bouillabaisse Marseillaise on French Menus and Links to Recipes for Bouillabaisse. Homard - The Two Clawed European Lobster. Homard on French Menus. Moules - Mussels. Moules Frites and Much More. Moules on French Menus. 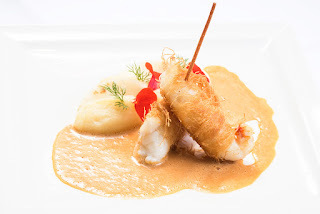 Rascasse - The Scorpion or Sea Robin family of fishes in French cuisine.